It isn’t always all work here at SERVPRO of Fairfield. We take a minute to also have fun. 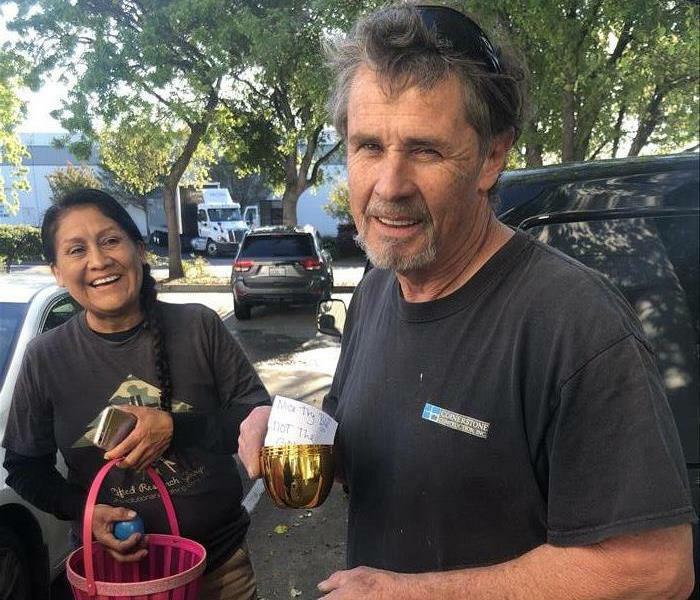 At our Annual Easter Egg hunt, the Easter bunny had plenty of tricks up her sleeve she hid 170 eggs with 1 being a Golden Egg. Our Technician Kenny thought he had found the Golden Egg, but surprise! She left a note for him to try again. Want To Cut Down On Dusting? It's Spring Cleaning Time. Are you getting your Spring Cleaning to do list started? 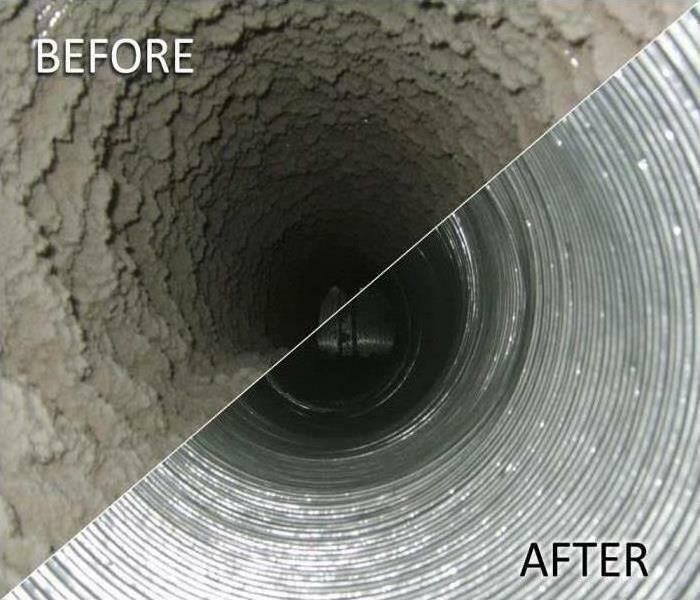 Most Homeowners will have the gutters cleaned, house painted, power washed, remove unused furniture and clutter even have the house cleaned from top to bottom by a professional, and forget about air duct cleaning. Containment barriers are used to control the air borne debris from escaping into surrounding areas that are not being worked on. When containment barriers are used it lessens the cleanup process and ensures that dust and any other debris is kept within the work area. In mold remediation containment barriers are used to keep any airborne mold spores from cross contaminating the other parts of the site during the removal process. Here at SERVPRO of Fairfield we take pride in the service we are able to provide for our Community. 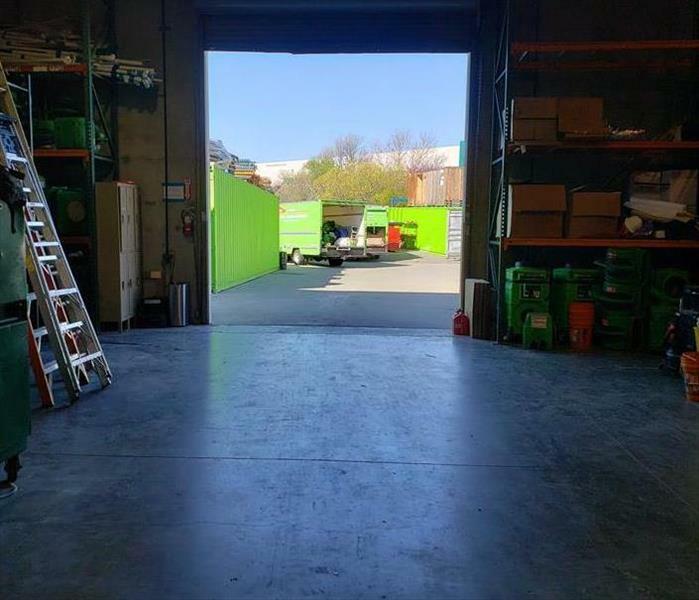 We know that Disasters don’t give us a warning and usually happen when you’re the least prepared, that is why here at SERVPRO of Fairfield we stay ready, by keeping are warehouse clean, organized, our equipment maintained and up to date. SERVPRO of Fairfield to the Rescue. 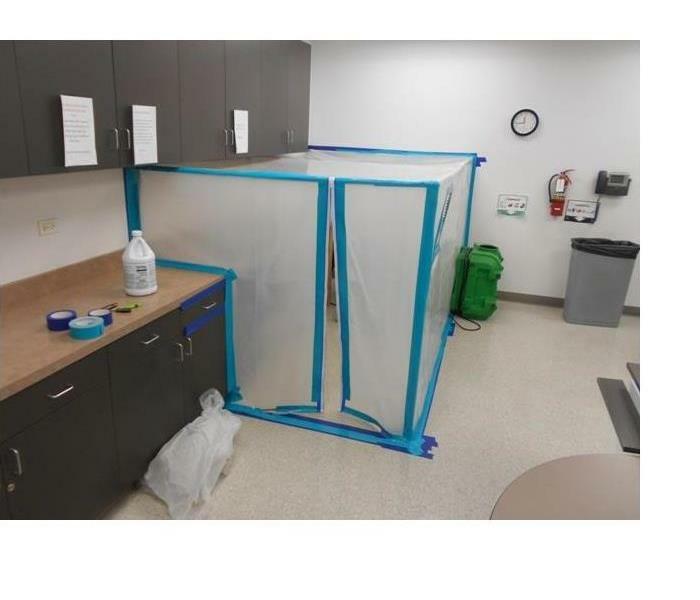 When moisture detection indicated high levels in the partition between the sink and dishwasher area, as well as moisture in the drywall, in this San Francisco Real Estate companies break room, SERVPRO technicians quickly set up the containment chamber to avoid cross contamination. Our SERVPRO technicians did all the work after normal business hours which included, removal of all wet material and cleaned all exposed material with anti-microbial disinfectant. While at the Northern Solano County Association of Realtors our Sale Marketing Representative Raquel met Robin Pauletich from Windermere Real Estate, and Robin told her about the most amazing way to give back, she told her about HOW Pleasant Hill Chapter, Helpingonewoman.org. And SERVPRO of Fairfield needed to help. Raquel put together this beautiful gift basket to raffle for their upcoming event. Thank you Robin for picking up the basket and letting us help with this wonderful organization. 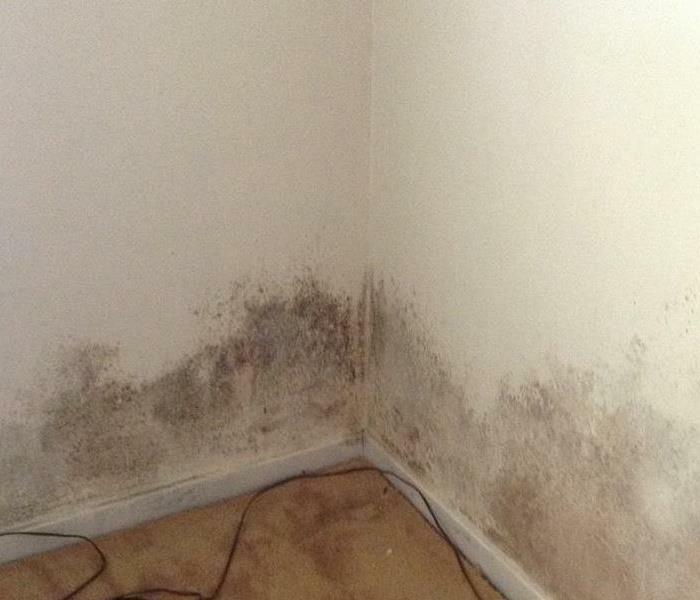 The allergens in mold are still present and can become airborne even when mold is dead. When mold infested this portion of a wall, in a Vallejo families home SERVPRO of Fairfield was there to help. Because our technicians are experts they knew that the only way to get rid of mold is too "cut it out". They isolated the contaminated area, used HEPA air filtration to capture mold spores in the air and removed the portion of the wall that was infested. Electrical fires are caused by a number of different factors, including faulty appliances. This was the aftermath of a kitchen fire in Vallejo caused by a blender.The owner couldn't believe how quickly we were able to clean the soot from the walls and ceiling. We make disasters "Like it never even happened." Our sale's team had the pleasure of attending the "Dominating Your Market" a Tony Robbins Workshop, hosted by the Woman's Council of Realtors with guest speaker Karissa Kouchis. 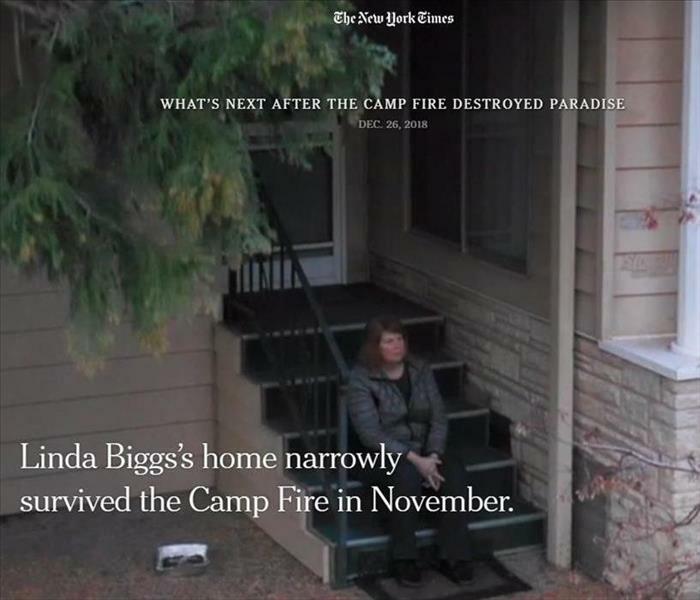 Linda Bigg's home narrowly survived the Camp Fire and SERVPRO of Fairfield was privileged to help Ms Biggs restore her home and contents… “Like it never even happened." We extend our heartfelt sympathy to the entire Paradise community as well as our respect to the first responders. One of the biggest fundraiser’s for the Fairfield-Suisun Chamber of Commerce. 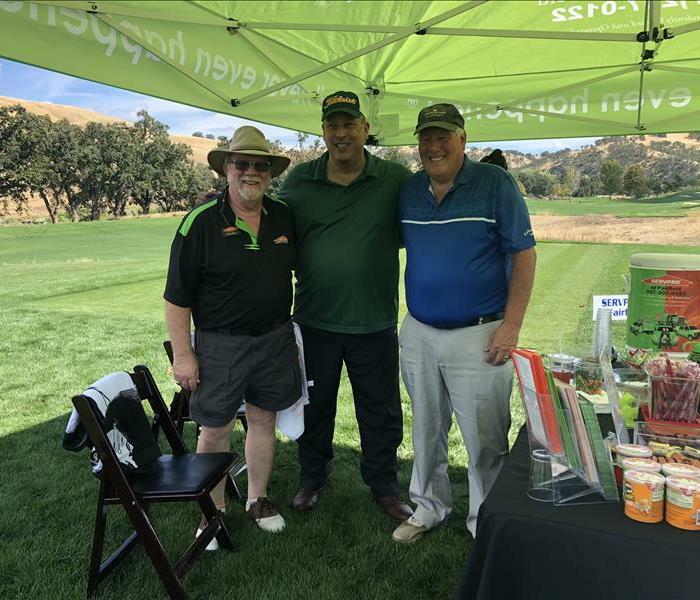 And SERVPRO of Fairfield was there. The money raised goes for programs like education. It was a great opportunity for members to network and meet each other. What a better investment than our children and as the saying goes "It takes a village to raise a child"
Ray and the crew from NSCAR enjoying a day on the green. REALTORS have a duty to their community through upholding high ethical and professional standards and advocating for private property and homeownership rights. So what better way to say "Thank you" to our Solano Realtors then a round of Golf. Ray and his crew enjoying golf on this beautiful Friday. Here at SERVPRO of Fairfield we know the meaning of hard work, and the stress that comes with it. 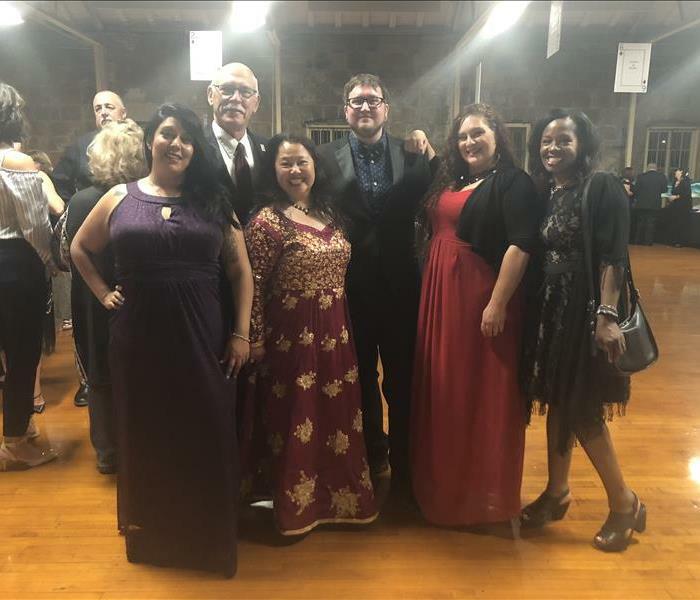 The Rotary Club of Vacaville is an organization made up of local business, professional and community leaders who volunteer and make a difference in our community. And what says “Thank you, for all you do” better then Golf! SERVPRO of Fairfield, were always here to help! SERVPRO of Fairfield held another Continuing Education class this time on ETHICS at the Burt Foon & Gary Falati State farm office. 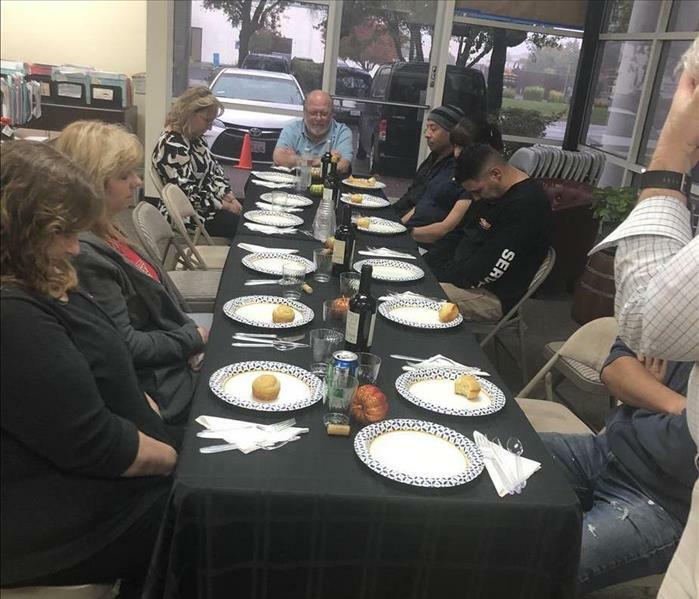 With catering from a local hot spot Napa Deli and engaging presentation by our very own Tom Swain it was a very delightful and informative training. When your Fairfield home has water damage from flooding or leaks, you need the company that can respond immediately and has the expertise and equipment to properly restore your property. 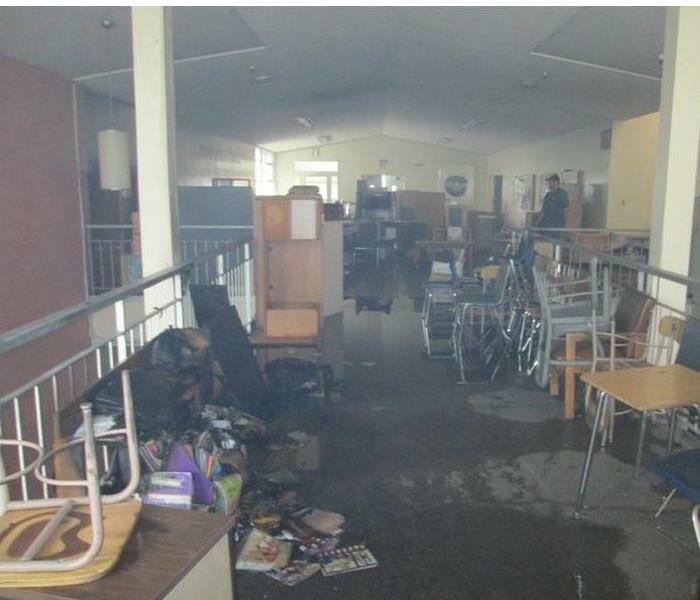 This picture shows a local middle school SERVPRO of Fairfield responded to when a fire sprinkler malfunctioned during the night. SERVPRO of Fairfield has the training and expertise to help make it “Like it never even happened. 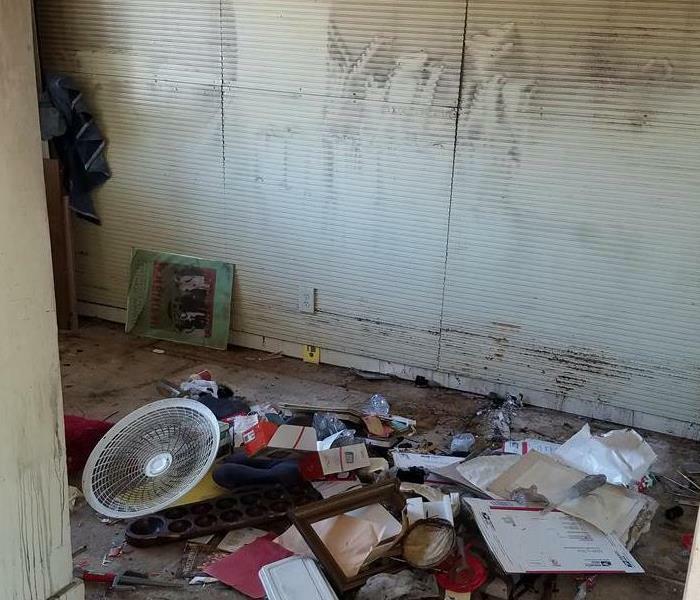 SERVPRO of Fairfield responded to this commercial water loss when rainstorms produced heavy flooding at this Fairfield business. We are available 24 hours a day to get your Fairfield business back up and running. This picture was taken at one of our bigger mold jobs after all the mold had been removed and the residence made safe once again. Our mold remediation technicians are certified and adhere to the IICRC S550 mold remediation standards. This picture is of a flooded basement our Storm Team responded to. This picture shows a super storm our storm team responded to on the East Coast. 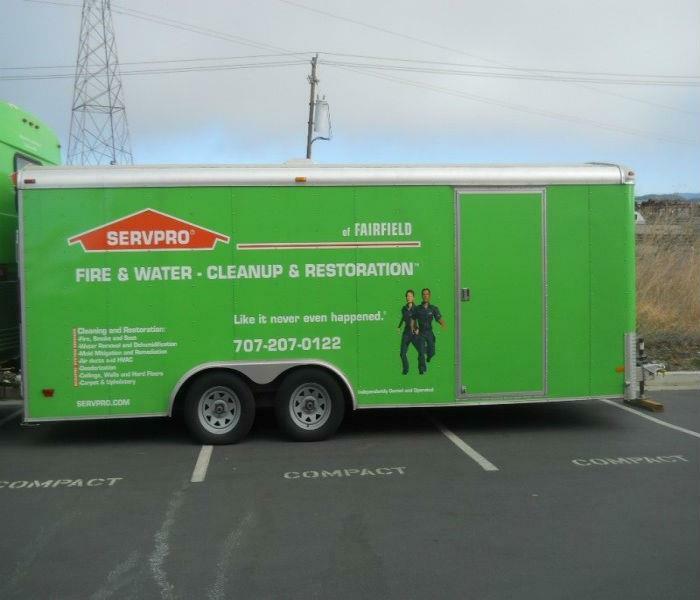 Whether you live in Solano County or thousands of miles away you can count on SERVPRO of Fairfield for help. 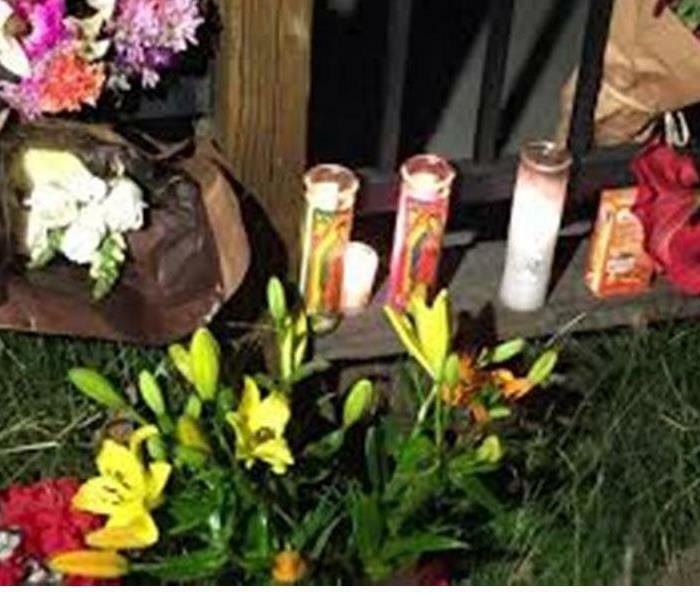 Everyone here at SERVPRO of Fairfield is deeply saddened over the Warehouse fire that took place this past weekend. Our hearts go out to the victims and espeacially their families. We are sorry for your loss. 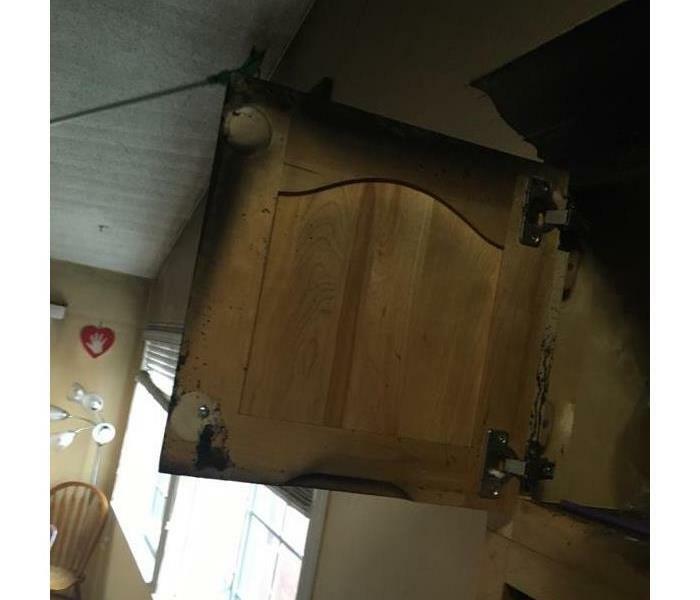 With this loss, the customer's washing machine had leaked, undetected, and had caused for microbial growth to form on the drywall. Our staff protected the rest of the house from cross contamination and made sure that the job was completed promptly and effectively. Our equipment can dry anything! 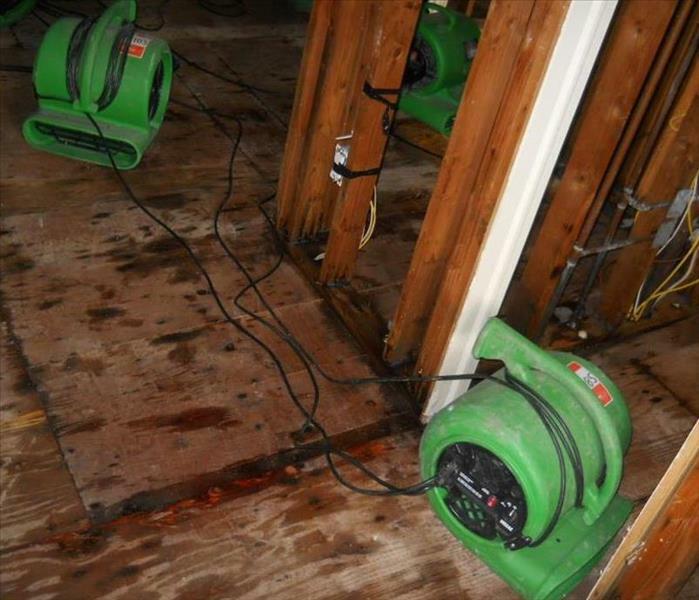 SERVPRO of Fairfield will respond quickly and and help you through a water damage from beginning to end. We work side by side with your insurance carrier untill your home is brought back to its original state. Even though this home looks dry it is in fact wet! Here at SERVPRO of Fairfield our certified water restoration technicians have special moisture meters that detect moisture even under tile! SERVPRO of Fairfield knows mold is a horrible thing to see in your home but if you see it call us. Whether its just a little bit or your whole home is affected we know what to do. SERVPRO of Fairfield has quality technicians that are certified mold remediation specialists. No homeowner wants to see mold in their home but if you do you want to trust a company that knows how to deal with it properly. 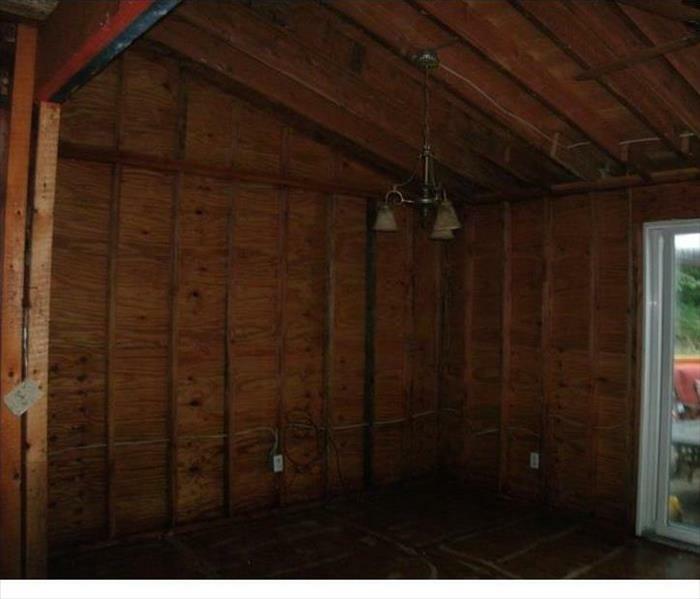 Theres hope for a moldy home. 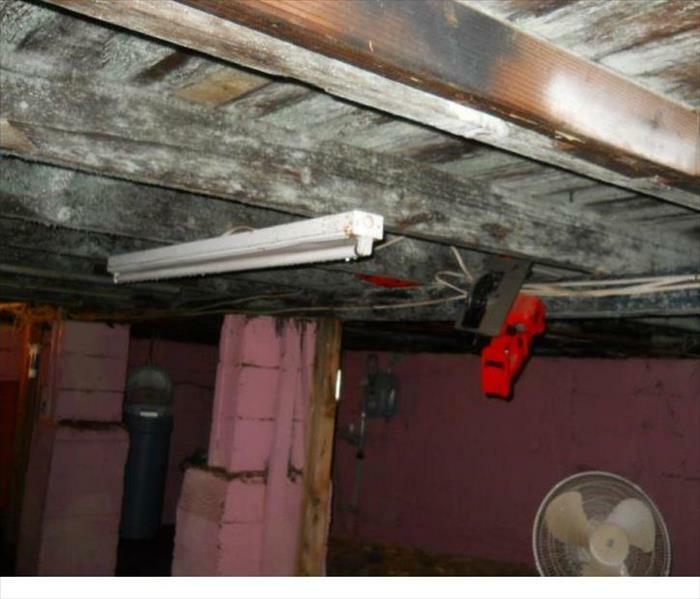 SERVPRO of Fairfield responded to this large mold loss in a Fairfield basement. 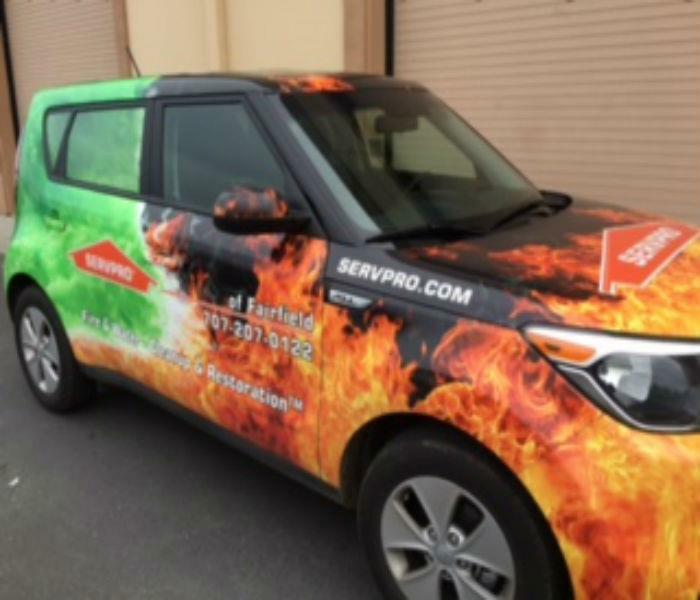 SERVPRO of Fairfield is ready for any disaster anytime! Our storm team was there when a super storm hit the eastern United States. SERVPRO of Fairfield was quick to act and took care of our customers homes as if they were our own. SERVPRO of Fairfield responded to this storm related water damage. Our on call storm team was ready, willing and able when this hurricane hit the east coast. 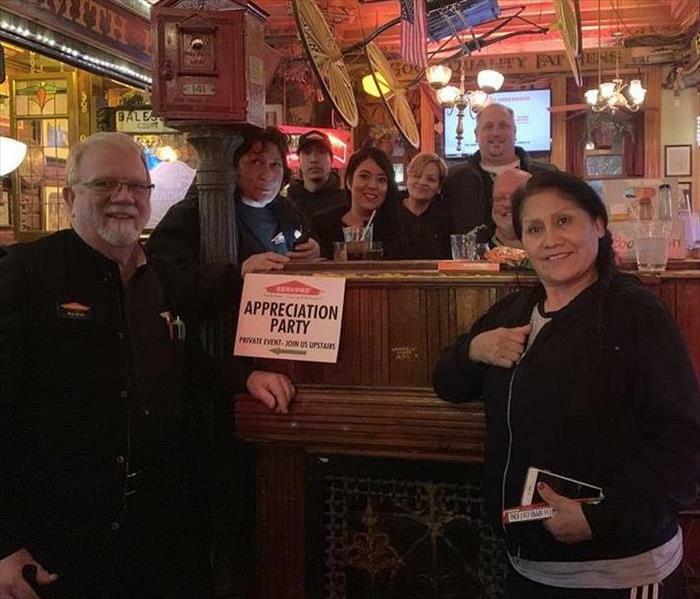 Our customers were more than happy to see us! SERVPRO of Fairfield responded to this loss after this home suffered a fire caused by their dryer. Our awesome staff worked extremely hard to get this home ready for the rebuild. SERVPRO of Fairfield was able to help this Fairfield customer when an appliance fire destroyed the entire structure and most of the contents. SERVPRO of Fairfield understands having a fire loss happen to your home can be very difficult, we are here for you. Our highly trained staff will take care of you and your home. 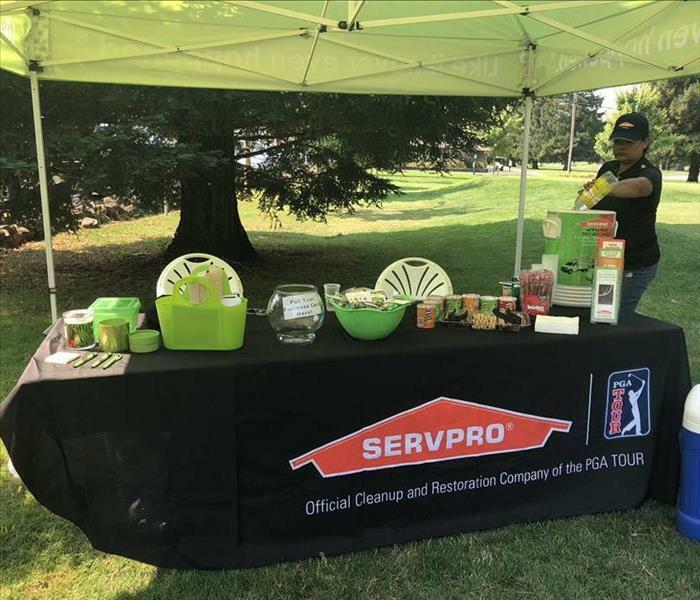 When a firestorm hit Northern California this past year SERVPRO of Fairfield came to the rescue. 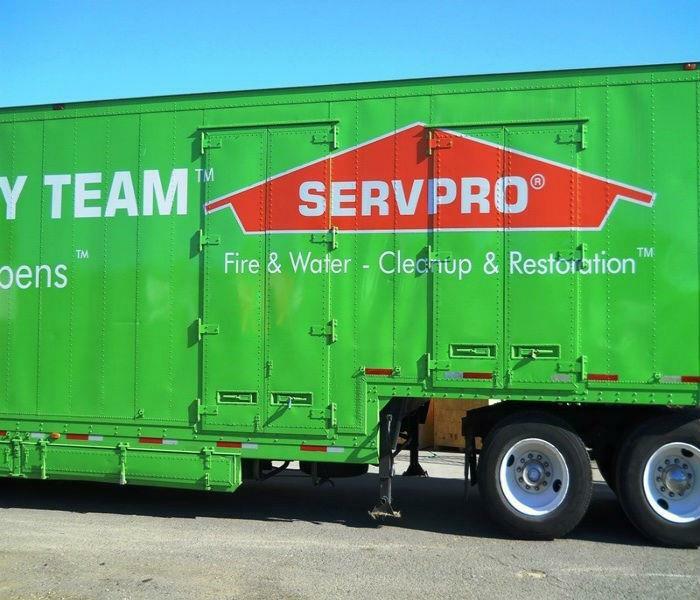 Not only were homes affected but many vehicles as well, this is one of the trucks SERVPRO of Fairfield cleaned. 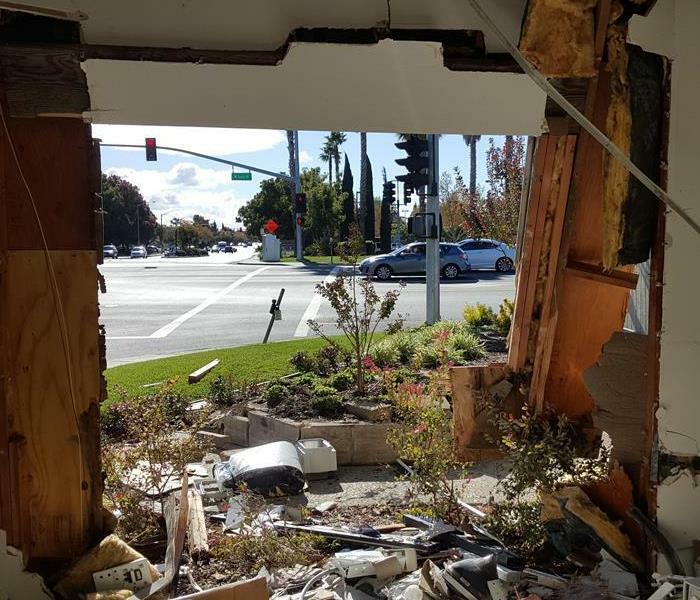 When this Solano County Dentist found someone had made their office a drive through SERVPRO of Fairfield was there to save the day! No matter what the emergency is they are always here to help. SERVPRO of Fairfield was there to help when this Fairfield Dentist office experienced a Water Damage. 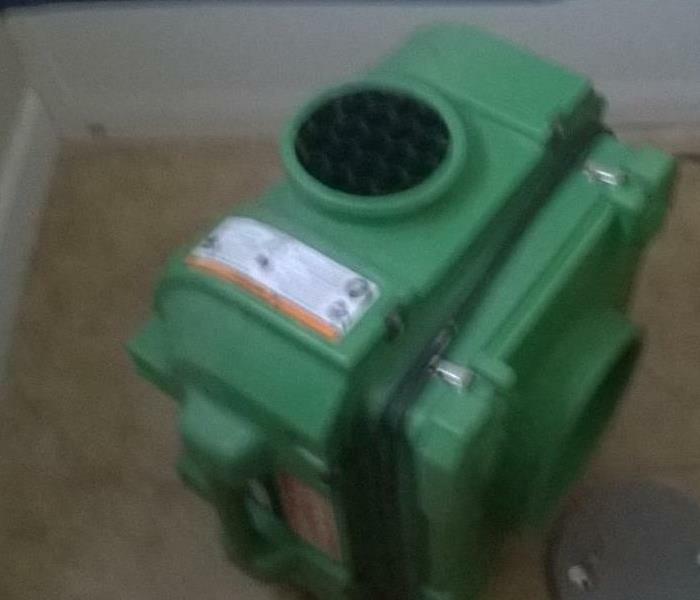 We dried the wet areas during the night and removed our equipment during business hours. 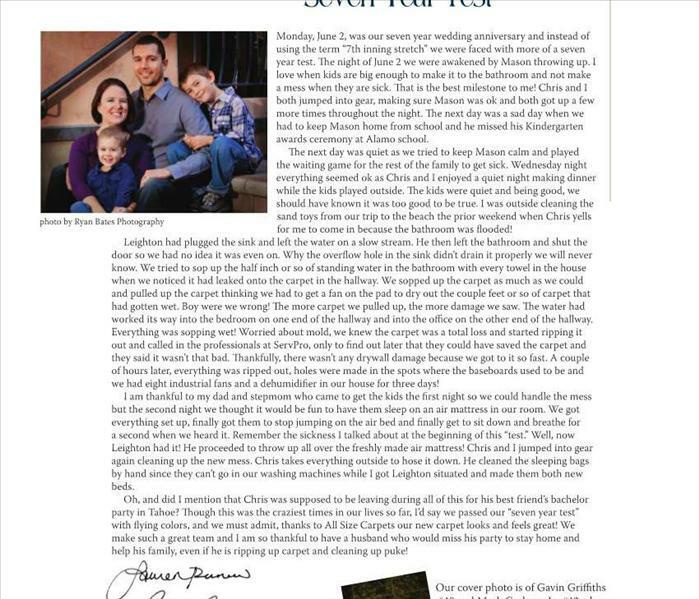 This Vacaville family gives big kudos to SERVPRO Of FAIRFIELD in this August - September magazine article. During a very hectic time of sick kids and sink overflows SERVPRO of Fairfield was ready for" Whatever Happens"!!! L to R Kelly McLean (Owner), Tyler Thys (Production Manager), Johnny San Nicolas (Sales & Marketing Rep), Ray Erck (Sales & Marketing Mgr.) Our guys do so many things for charity but playing golf is one of their favorites. When disaster strikes SERVPRO of Fairfield is here to save the day and business owners from lost business. 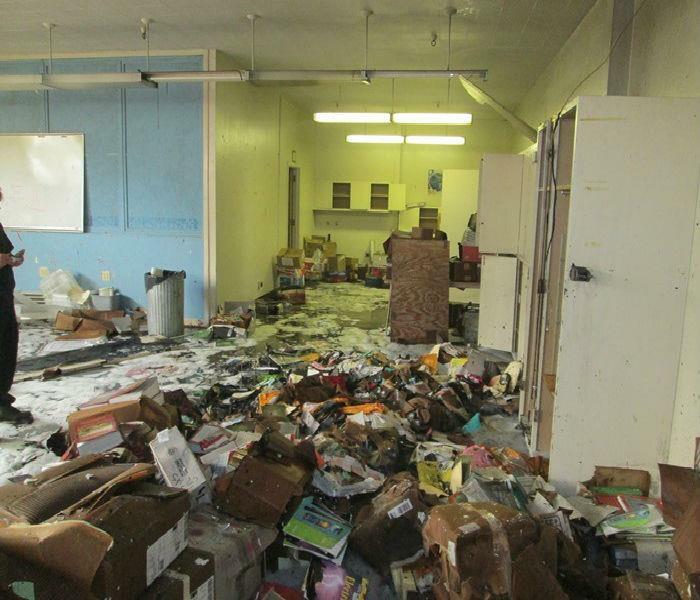 This was a large commercial loss we cleaned up quickly at a well known electronics store in Fairfield. This is our decked out new sales car. You will be seeing us around town and at many charity events in the area. Wave and say hi if you happen to see us! SERVPRO of fairfield is able to stay ready for any size disaster big or small. With our tow behind trailer we are always prepared to make it " Like it never even happened"! 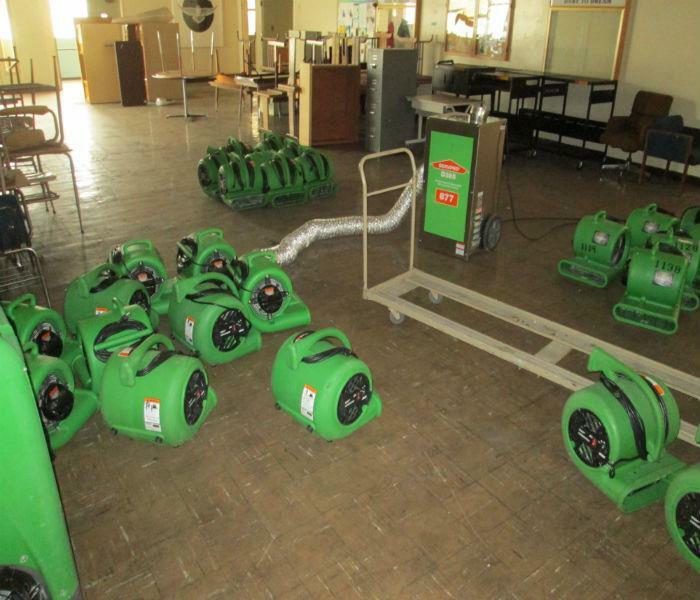 SERVPRO of Fairfield was there to help when a hometown middle school found themselves in the middle of a large water damage! This is a photo taken upon our arrival. 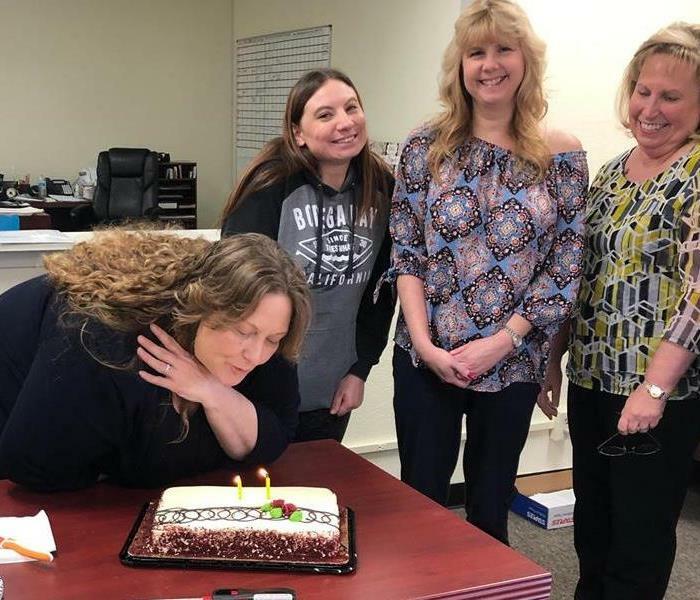 No job is too big or too small for the dedicated team at SERVPRO of Fairfield. We can handle it all and we are always here to make it "Like it never even happened"